"Thank you very much for completing the work to convert our bathroom into a wet room. We are really pleased with your PROFESSIONALISM and friendly staff all of which were very good at their individual skills, and it was nice to have Liz to clean the wet room afterwards. I would like to say I would be happy to recommend your company to anyone thinking of having any building work done"
Linda & Dave - Fremington. 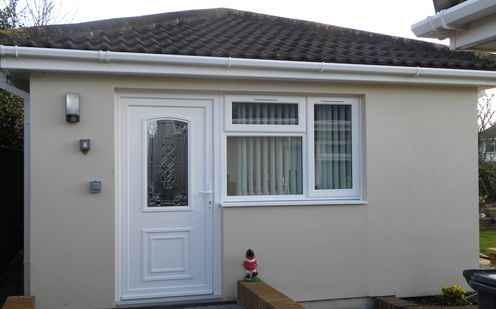 "I am a site agent of 40 years plus standing with PEARCE CONSTRUCTION of Barnstaple, Devon and have worked with Jason from an apprentice to site agent for many years.Jason is by any standard an EXCELLENT TRADESMAN and works extremely well with co-workers. Jason has been self employed for some time now, and his success is due, among other things, to the above attributes. I always found Jason A PLEASURE to work with both as a Pearce employee and as a sub contractor. 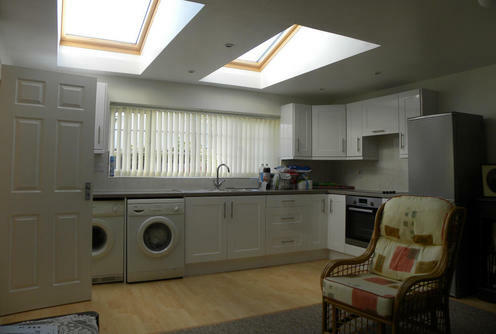 We would like to thank you for all your help, advice and suggestions for our kitchen project. Your team worked hard to ensure that we were COMPLETELY SATISFIED at every stage of the work. We are really pleased with our new kitchen and its exactly what we envisaged. We would not hesitate to use your services again for any work we might require." "We would WHOLE HEARTEDLY recommend Jason to other people. The whole extension was metisticly planned which resulted in a smooth operation, despite poor weather, everything went according to the planned scheduled. Jason kept us fully informed of his plans during the build and was always very approachable and flexible. The quailty of Jasons build was VERY VERY GOOD and absolutely no short cuts are made. In summary - If you were to instruct Jason you would end up with a VALUE FOR MONEY build that was built to a VERY HIGH STANDARD. It would also be kept to budget"
"Jason - Thank you for the building work which you undertook for us concerning the removal and renewal of the concrete beams at the front of our property. You completed the work to a VERY HIGH STANDARD including the finishing touches. If there was a delay due to the supplier you kept us informed what was going on. It is rare to find someone who is a REAL PROFESSIONAL and takes PRIDE in his work. That sums you up PERFECTLY. Nothing was too much trouble, it was a pleasure to have you in our home. Your were a very tidy worker and always cleaned up after you had finished each day. If was a relief to find someone of your capabilities, we have no hesitation in praising your work and will be recommending your firm to our friends who are looking for a TRUSTWORTHY, RELIABLE and COMPETENT builder"
"When we moved to Spain we had lots of alterations that were needed to be done on our property. Jason designed and erected a car port to the side of the house, made new and matched the concrete paving area outside and altered the access to the front door. Jasons personal standards of workmanship are MOST PROFESSIONAL throughout and where sub contractors were required he was always onsite to supervise. I would without hesitation re-employ Jason for any future occasion because we have found him to be competative in his pricing, HONEST and most professional in his attention to detail. Jason himself is a very nice person to have around the house, completely trustworthy to be left alone. We wish him well in the furture because he deserves the best"
Jason's planning and attention to detail is of a very high standard as is his aim to keep disruption to normal life to an absolute minimum. His quality of workmanship is second to none as is the workmanship of the tradesmen he employs and he is completely trustworthy having been left in charge of our property on many occasions. We are very pleased with all aspects of the finished work and would fully recommend Jason for any building work large or small and would have no hesitation whatsoever of inviting him back to carry out any future works. I would just like to let you know that I am over the moon with the wetroom you have installed ar my home it will make my life a lot easier. The standard of workmanshop of yourself and your tradesmen is second to none. I would recommend you to anyone, once again thank you very much.